Drive with peace of mind with our affordable Guaranteed Auto Protection (GAP) and Mechanical Breakdown Insurance. GAP pays off your loan balance should your automobile be stolen or damaged and is declared a total loss. GAP will cover the difference between your loan payoff and your primary insurance company settlement. Protect Your Purchase and Your Wallet. Have peace of mind. Know the balance of your auto loan will be paid. Our GAP product is offered to GASCU members at a fraction of the price found at dealerships! Guaranteed Auto Protection pays off your remaining loan balance should your automobile be stolen or damaged and is a total loss. GAP will cover the difference between your loan payoff and your primary insurance company settlement. Primary insurance companies will pay the actual cash value/current market value if the car is totaled in an accident or stolen. Often this amount is less than your loan balance, especially if you are financing 100% of the purchase price or you have a lot of accessories. GAP may pay the difference up to 125% of MSRP so you can start fresh with a new vehicle purchase. You will also receive $1,000 towards the financing of your next auto with Glendale Area Schools Credit Union. Mechanical Breakdown Insurance is an affordable alternative to costly dealer extended warranty packages. Even better, MBI often offers a more comprehensive coverage plan and is offered at a fraction of the price found from dealerships. Glendale Area Schools Credit Union offers a plan that is right for you. Glendale Area Schools Credit Union offers a mechanical breakdown insurance program that is similar to an auto dealer’s extended warranty service. This is usually less expensive than an auto dealer’s extended warranty and most major repairs are covered by licensed mechanics. Coverage is transferable, for a small fee, to a new owner. Gold: This plan covers almost all mechanical and electrical components of a vehicle. The Gold Plan coverage is so extensive that only the components not covered are generally listed. Example of items generally not covered include: manufacturer recommended maintenance, adjustments and cleaning, and battery and cables. Silver: This protection covers everything in the Bronze Plan with the additional coverage of repairs due to a mechanical breakdown of a manufacturer installed mechanical or electrical component. Copper: This basic plan is for the Member who needs protection on a vehicle’s basic, most important, and expensive mechanical components. It is designed to provide solid protection at a reasonable cost. 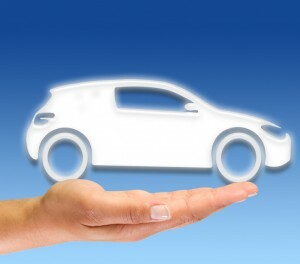 When is the last time you shopped auto insurance premiums? Glendale Area Schools Credit Union has endorsed Crescenta Valley Insurance (CVI) an independent insurance agency, to provide our members competitively priced Auto and Homeowner insurance. CVI represents over 25 companies so that they can “shop” the competition to finance an insurance policy that meets your unique needs. I’ve had some tickets / accidents. Can I still get a quote? Absolutely! CVI represents many carriers that will insure drivers with tickets or accidents and still provide you with competitive premium. I own a motorcycle and boat / jet ski. Can CVI help me? Absolutely! CVI represents carriers that will provide you with a policy to cover all of these items. CVI also can write your secondary / vacation homes, condo, rental properties, travel trailers, off road vehicles and RVs. Security for Your Finances and Family. We know that different people buy insurance for different reasons, but most of us have a need for it at some point in our lives. The type we need, the amount we need, and the reasons why we need it may change; however, insurance plays a key role in creating peace of mind. Glendale Area Schools Credit Union offers a range of insurance solutions to safeguard both your financial security and the security of your loved ones.